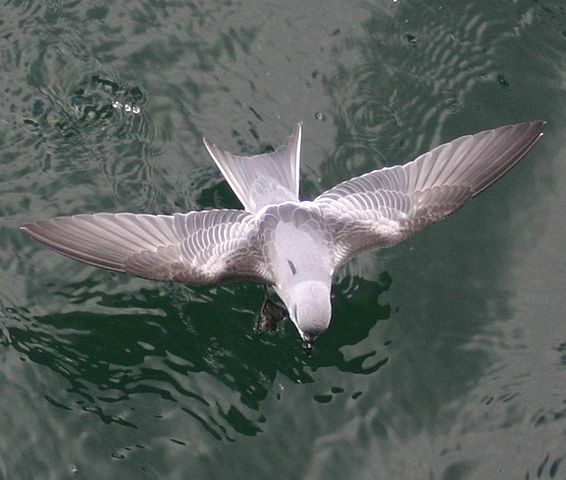 The Northern Storm Petrels make up the Hydrobatidae Family. The eighteen (18) species in the family are from two Genera; the Hydrobates (1) and the Oceanodroma (17). They are found in the northern hemisphere although some species around the equator dip into the south. 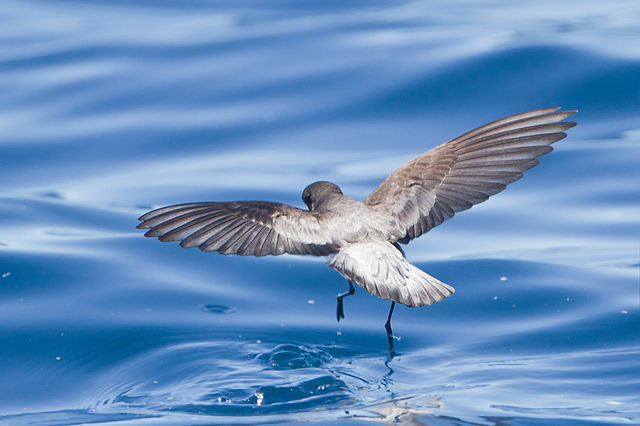 European Storm petrels cannot walk on land, and shuffle on their tarsi. The European storm petrel, British storm petrel or just storm petrel (Hydrobates pelagicus) is a seabird in the northern storm petrel family, Hydrobatidae. It is the only member of the genus Hydrobates. The small, square-tailed bird is entirely black except for a broad white rump and a white band on the underwings, and it has a fluttering, bat-like flight. The large majority of the population breeds on islands off the coasts of Europe, with the greatest numbers in the Faroe Islands, United Kingdom, Ireland, and Iceland. The Mediterranean population is a separate subspecies, but is inseparable at sea from its Atlantic relatives; its strongholds are Filfla Island (Malta), Sicily and the Balearic Islands. 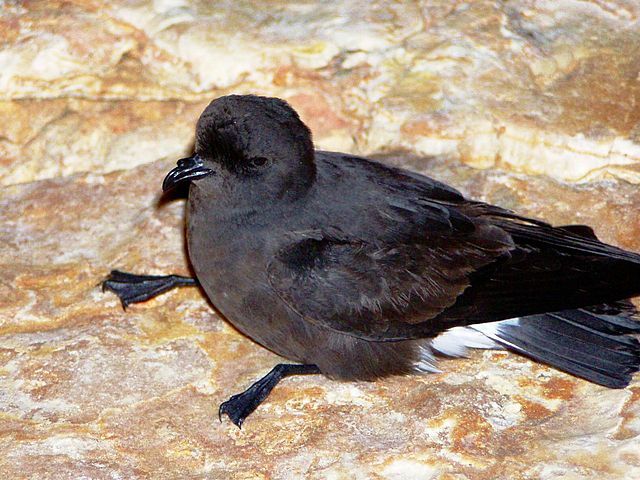 Oceanodroma is a genus of storm petrels. The genus name is from Ancient Greek okeanos, “ocean” and dromos, “runner”. 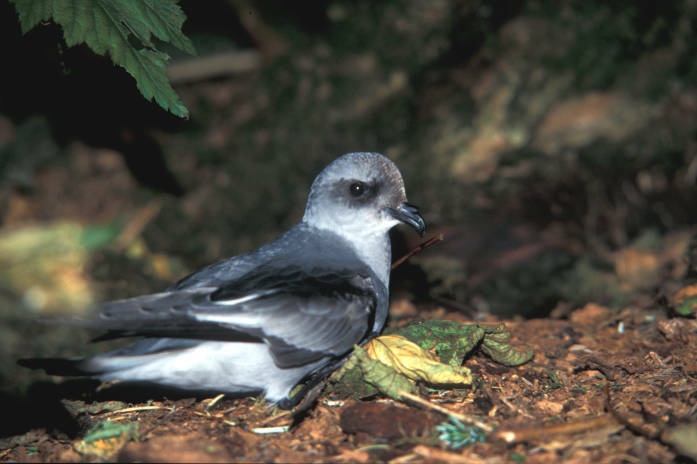 The Leach’s petrel, known in some rural areas as Carrie chicks, is a small bird at 18–21 cm in length with a 43–48 cm wingspan. 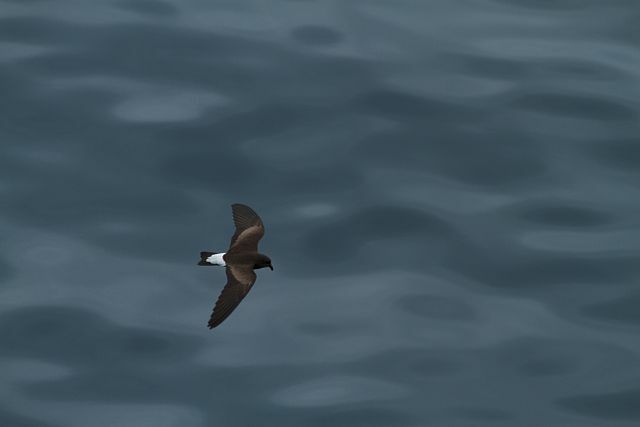 Like many other storm petrels, it has all-dark plumage and usually a white rump. However, dark-rumped individuals exist on the west coast of North America; they are very rare north of southern California, but the percentage increases suddenly on the United States-Mexico border where 90-100% of breeding birds are dark-rumped. 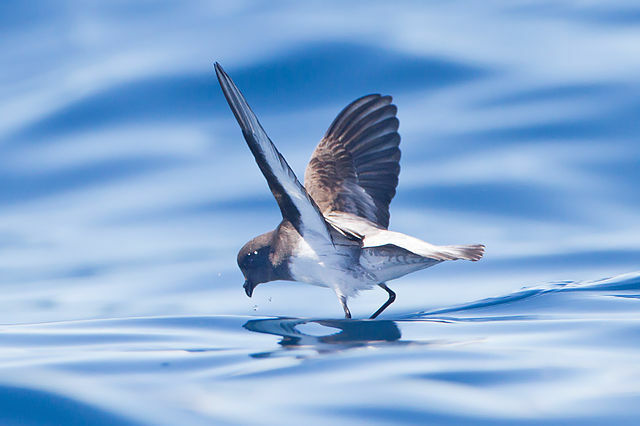 The wedge-rumped storm petrel (Oceanodroma tethys) is a storm petrel. It breeds in the Galápagos Islands and on the coast of Peru. 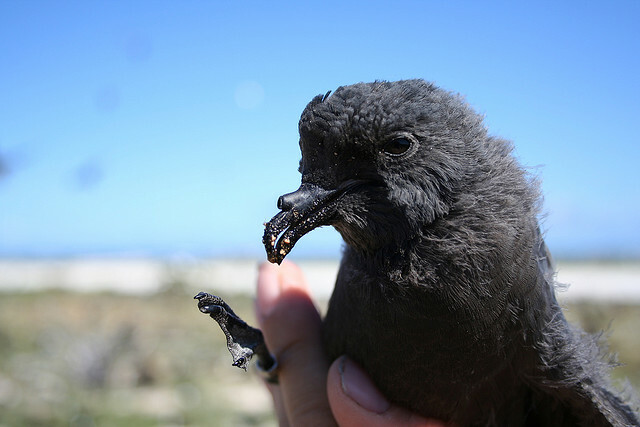 The band-rumped storm petrel spends the non-breeding period at sea. Individuals feed by picking up prey items (invertebrates, small vertebrates and sometimes carrion) from the water surface. 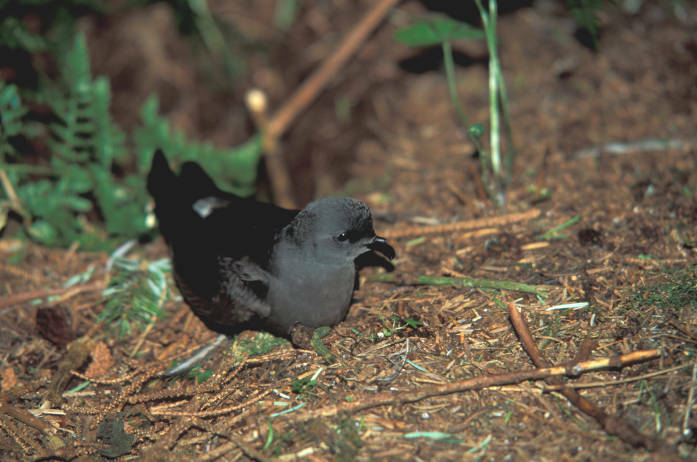 The band-rumped storm petrel is strictly nocturnal at its breeding sites to avoid predation by gulls and diurnal raptors such as peregrines, and will even avoid coming to land on clear moonlit nights. Like most petrels, its walking ability is limited to a short shuffle from/to the burrow. 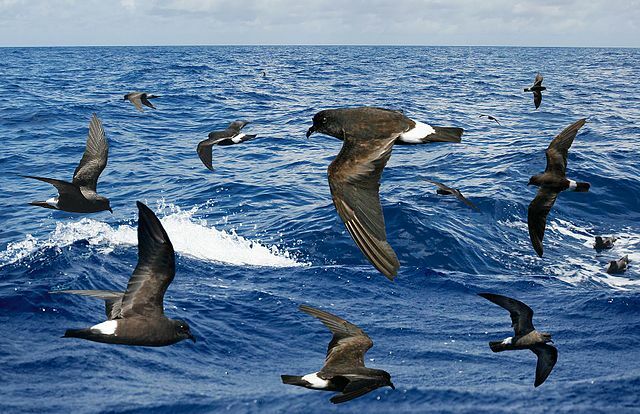 The Cape Verde storm petrel (Oceanodroma jabejabe) is an oceangoing bird found in the Atlantic Ocean, especially around the islands of Cape Verde. 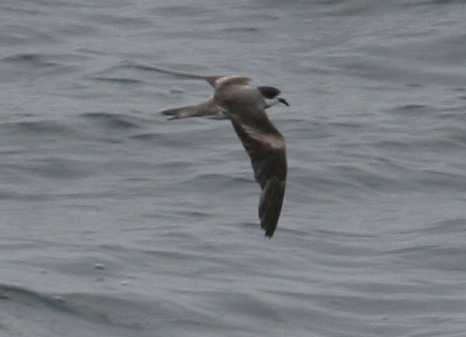 It was at one time considered to be a subspecies of the band-rumped storm petrel, but is now considered to be a separate species by the British Birding Association, the Dutch Birding Association and other authorities. They breed much of year but most nest in the winter. Because of being at sea so much of the time, photos and information are not readily available. Hence, the short slideshow today. The birds of the air, And the fish of the sea That pass through the paths of the seas. O LORD, our Lord, How excellent is Your name in all the earth! P.S. Our area is due to receive a glancing blow from Hurricane Matthew beginning tomorrow evening. Thanks for your prayers in advance.